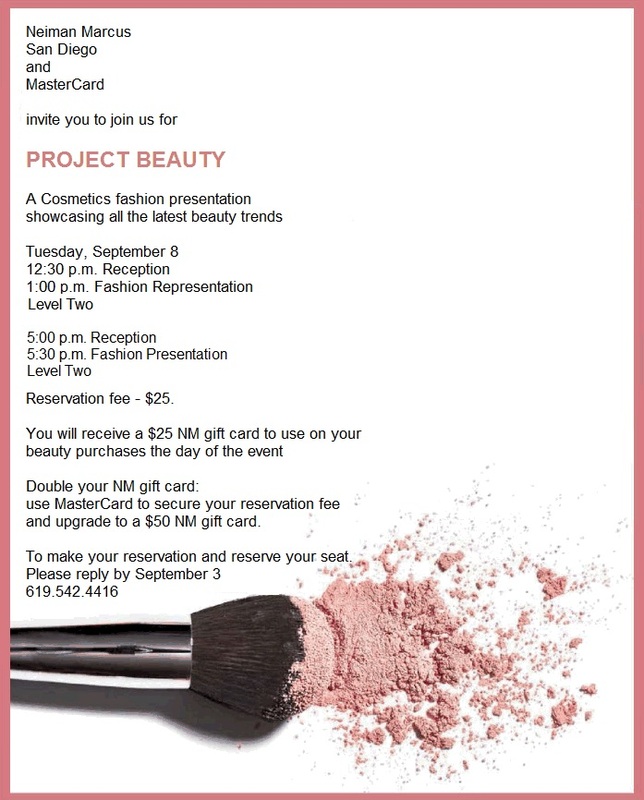 Here is a wonderful beauty event at Neiman Marcus Fashion Valley next week! "Project Beauty is a special runway presentation of the latest trends and innovations in the Cosmetics, treatment, tools, and fragrances world. The presentation is hosted by our very own Alex Yanez and guest appearances from some of our leading Cosmetics vendors in the industry. 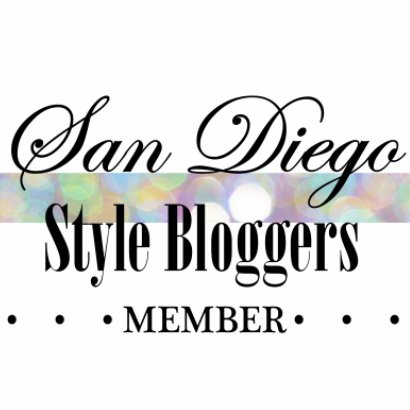 We have AMAZING Beauty Event gifts from both Neiman Marcus (with a $125 qualifying spend for the bag, and a $500 spend for the step-up cosmetics pouch) and the vendors - some with qualifying spends as low as $50! Please join us for one of these shows on Tuesday, September 8. I promise you will not regret coming!"